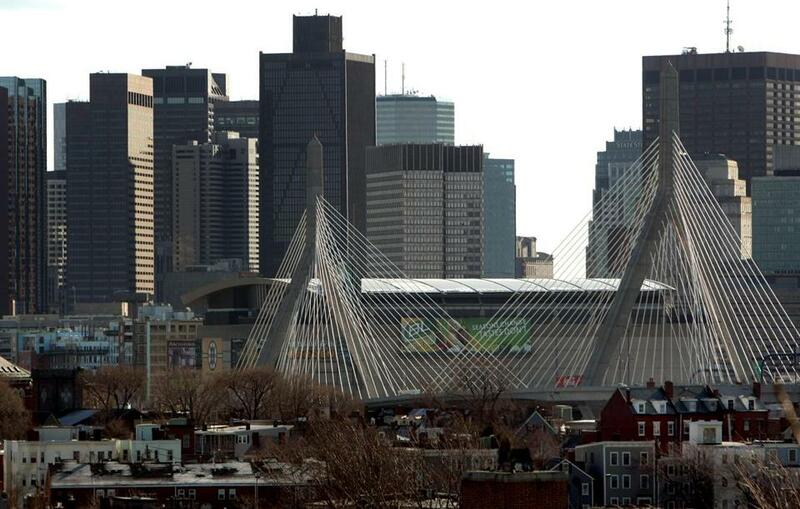 A view from Charlestown of the Leonard P. Zakim Memorial Bridge. Households in the top 5 percent of earners in Boston made at least $266,000, nearly 18 times as much as households in the bottom 20 percent. The income gap continues to grow in Boston, which ranked fourth in 2012 and third in 2013, according to Brookings. New Orleans and Atlanta had the second and third largest divides, respectively. In some ways, Boston’s success is contributing to the problem. The city has become a major player in the innovation economy — reinforced by General Electric’s decision earlier this week to relocate its headquarters here — and salaries continue to grow in the already higher-paying tech and life science sectors. Indeed, annual household income among the top 5 percent of earners in Boston grew by nearly $22,000 between 2007 and 2014. In the bottom 20 percent, however, incomes fell by almost $1,400. Of the jobs added in Boston between 2009 and 2014, the majority have been in low-paying sectors such as janitorial services, home health care, and food services, with more than 85 percent of positions paying less than $38,000 a year, according to a recent study by the Boston Foundation. Boston’s high number of students, who tend to have lower incomes, also partly explains Boston’s ranking, he noted. Overall, in cities with bigger divides between rich and poor, housing tends to be less affordable for lower-income households, according to the Brookings report. And despite its commitment to add more affordable housing, Boston is still one of the nation’s most expensive housing markets. The Brookings report looked at metropolitan areas as well as cities, and found that Greater Boston had the sixth biggest income divide in 2014. Households in the top 5 percent earned more than $294,000, while the bottom 20 percent topped out at $28,000. The Bridgeport, Conn., area topped the list of unequal metro areas. Inequality has grown nationwide since the last recession, with the top 5 percent earning 9.3 times more than those in the bottom 20 percent in 2014, up from 8.5 in 2007.